Twitter launched Thursday a ‘Lite’ version of its service that runs from the browser on a smartphone, in a bid to attract customers in emerging markets, who have flaky Internet connections or are wary of spending too much on data. The micro-blogging service said that Lite had been designed as a Progressive Web App in collaboration with Google and is available at mobile.twitter.com, and does not require an app store. It is said to take up less than 1MB on the device. Lite offers key features of Twitter such as the timeline, tweets, direct messages, trends, profiles, media uploads, notifications. With features like data savings, offline access to loaded content, resilience on flaky networks and fast load times, it is designed for emerging markets where networks are still patchy and data expensive. Lite targets users around the world, supporting 42 languages, but the company appeared to focus on India at the launch of the new service. Six Indian languages - Hindi, Bengali, Kannada, Tamil, Gujarati, and Marathi – will be supported from the start. The company said it has partnered with Vodafone in India to provide live cricket updates through a specially curated Twitter timeline to the mobile operator's smartphone customers as a popular cricket season kicks off. 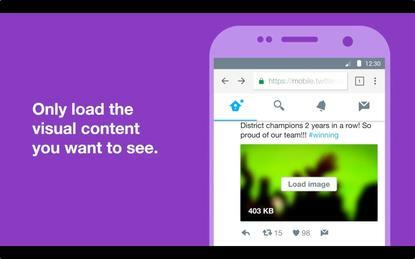 As it is on the mobile web, Twitter Lite is supported from the start on a number of mobile devices. It is currently compatible with devices supporting Chrome - Version 40 and above, Firefox - Version 40 and above, Safari - Version 7 and above, Android Browser - Version 4.4 and above, Microsoft Edge and Opera.